On the 17th August I’d written 2500 words of Book 12 (that’s when I started recording my word count). By yesterday, the 16th September, I’d written 80,914 and The End. This was not planned but the characters overtook me. Their story demanded to be written and I was often writing 5000 words a day. It didn’t feel as if I was rushing – and I would never advocate that. In my experience the plot and characters of every book dictate how quickly or slowly you write that particular novel. Having said that, I do believe I can offer some tips if you feel you are struggling – or if you are about to take part in November’s yearly NaNoWriMo (National Novel Writing Month). Although just to note – writing is my full-time job. My children are not small. My husband has been equally busy this last month. To a degree my time has been my own. Main character – I don’t get hung up on getting to know my main character before I start. I used to go though all those processes recommended in books about writing. Like *sitting down* with my character and asking him/her twenty questions about their favourite hobby, colour, type of clothing, pet etc. And this technique work for many authors, but not me anymore. I just decide on the basics and crack on. This means that as I write each chapter I discover new things about my protagonist and keep go back to tweak what I’ve already written. By around chapter six I usually know him/her pretty well and can just continue forwards with no more back-tracking. Research – to a degree the same applies here. I do a considerable amount before starting, so that the words can just flow. For this book I’ve had to thoroughly research a particular job, which involved interviewing someone and watching youtube videos – and I also needed to look into various emotional issues and a specific period in history. But once I’ve started I try not to become obsessed with checking every fact and item of data. I try to leave as much of the smaller stuff as I can to the rewrite, so that the flow of prose and dialogue isn’t interrupted during that heartfelt first draft. A degree of selfishness is necessary to write this many words in a month – and I don’t feel apologetic about that. This is my career. It pays bills. So I may cook from scratch say three times a week. Other members of the household do their bit and then if we’re all busy it’s a case of getting takeaway or using convenience foods. Housework is pared down to the minimum. I’m not superwoman. I know my limits. If I’m going to dedicate more time than usual to one aspect of my life then something else is going to have to give. Create a diverse cast of characters (obviously only if that fits your story). Book 12 stars a wide range of eclectic personalities and in the end I had to cut some out as they all had so much to say – and because they were so different from each other the writing always felt fresh. This is one of the main reasons I didn’t hit writer’s block or find I had a single day where the writing felt samey and dragged. A mind free from *stuff* – don’t put yourself under pressure to attempt to up your word count if you are current facing personal challenges. 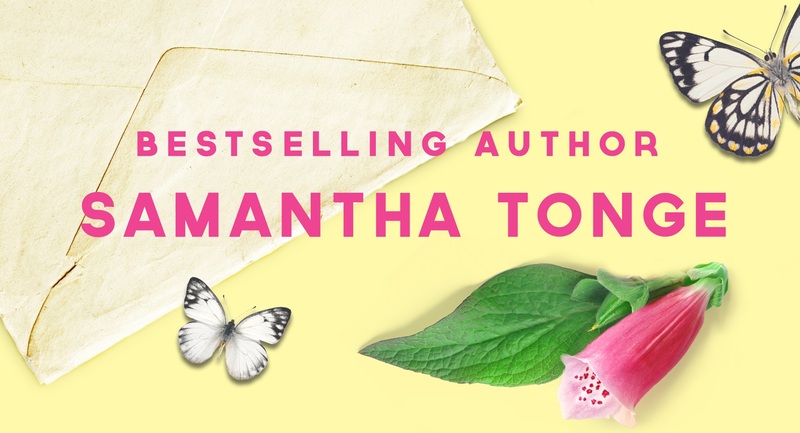 Writing this book made me realise just how much my mental health had improved since finding myself in an addiction clinic in 2016 (I talk about that here and how it inspired my latest novel Forgive Me Not) . With book 12 I’ve been going to sleep each night planning the next chapter. This meant that when I got up the next morning I could crack on without any prior thought. But I haven’t worked like this for years. When my mental health issues were most challenging the time nodding off would be spent going over and over my problems, negative thoughts whirring. These days I’m so grateful that my mind is free from a lot of that *stuff*. If yours isn’t then be kind to you. Concentrate on getting better. I took a step back from my career for around 18 months to get to the place I am now. 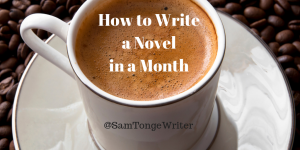 Writing a novel in a month is exciting – but intense. Log your word count each day. 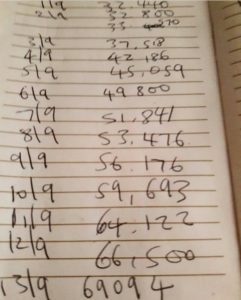 I did this in a notebook, however little I’d written, and found it so inspiring because it acted as concrete proof that my book was growing and that every day’s efforts mattered. I also posted my daily word counts on Twitter with a suitable gif, just before I logged off at the end of each afternoon. It felt like a fun reward for all the hard work I’d put in. Coffee. Lots of coffee. And chocolate helps too. Like anything extreme – and writing in this way is – it’s not the healthiest of options. But everything in moderation. I’m now getting back to my normal routine. Take breaks This is very important to maintain your energy and motivation. If you try to work all hours or fit this one month writing challenge around other responsibilities such as a job or small children without taking breaks, you will end up ill or burnt out and suffering from writer’s block. During the day I would make sure I got out once for a walk to the shops or to meet a friend for coffee. I also had a strict cut-off time and finished each day no later than 7pm and then spent the evening relaxing. And I certainly would never advise working like this month in, month out. Part of the reason I ended up ill in 2016 was due to stretching the days and stretching my working week over the weekends. You can only do so much. This entry was tagged first draft, mental health, NaNoWriMo, novel, publishing, writing. Wow! Amazingly done. Now you get to rest. Really inspiring words, Sam! Thanks so much for sharing, and now take a rest!! Lol, I will 🙂 Thanks for reading, Cass. I’ve been feeling really inspired lately and been contemplating Nano. Now, having read this, I’m definitely feeling inspired! That’s great that you managed to get it to work for you so well this month! Yes, it really takes the pressure off, thanks Lindsey. Thanks very much, Viola (lovely name) – and I hope you enjoy Forgive Me Not! I’m gearing up for NaNo Wri Mo so this was really useful. Though I have to disagree on one point … It’s TEA that keeps me going. And if it’s Earl Grey, so much better! Lol, we will have to disagree on that point, Liz! Thank you for sharing this very inspiring post.